Go ahead and sing it with me cuz it’s bound to pop into your head. 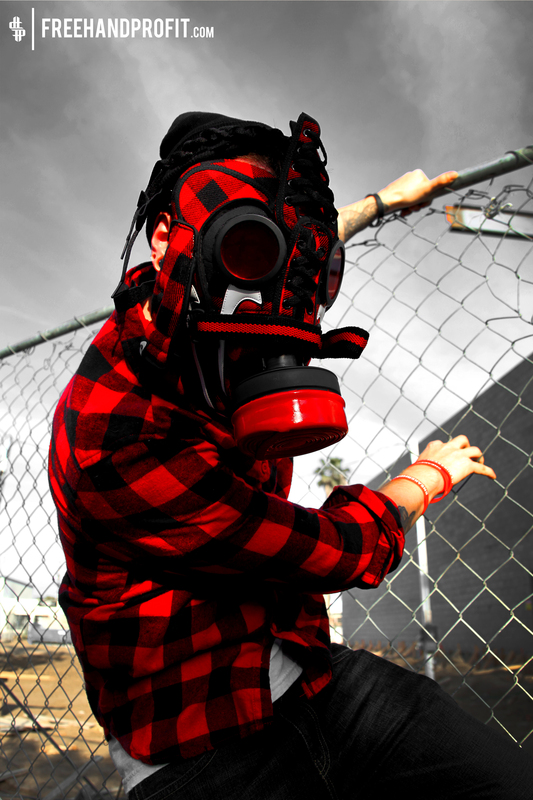 “Way back, when I had the red and black lumberjack, With the hat to match…” Well kinda. 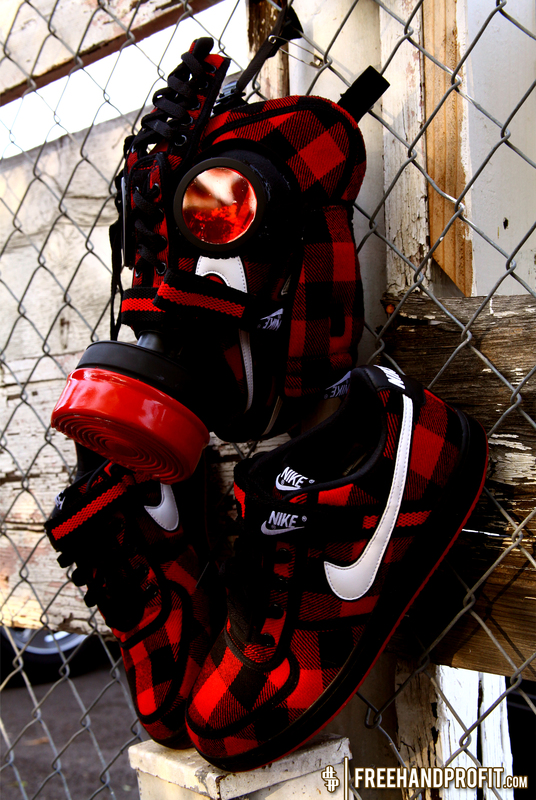 How about some red and black lumberjack Nike Vandal lows with a mask to match. These were a great pick up on sale from Flight Club LA. If you’re in Miami and want a chance to see it in person check out 8&9 Clothing Co’s new brick and mortar shop (7636 NE 4th CT #106, Miami, FL 33138). The summer’s heating up and so are the multiple projects I have in store for y’all. 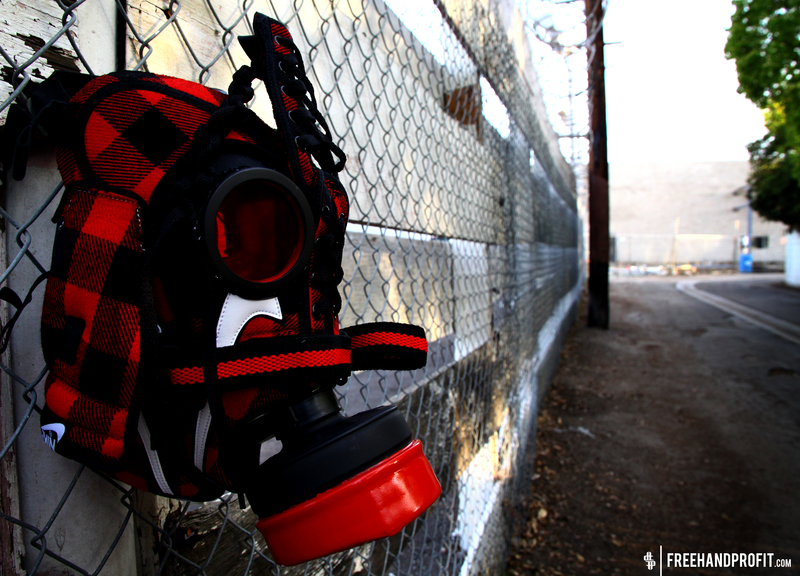 As promised the book will be dropping this summer with new, never before seen masks. 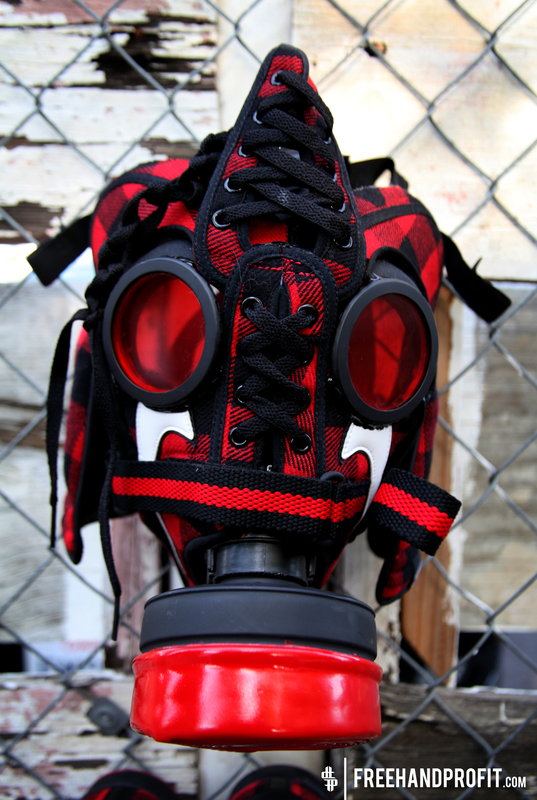 The new and improved Profit Shop is in the works and soon new t-shirts, sticker packs and of course sneaker gas masks will be available.